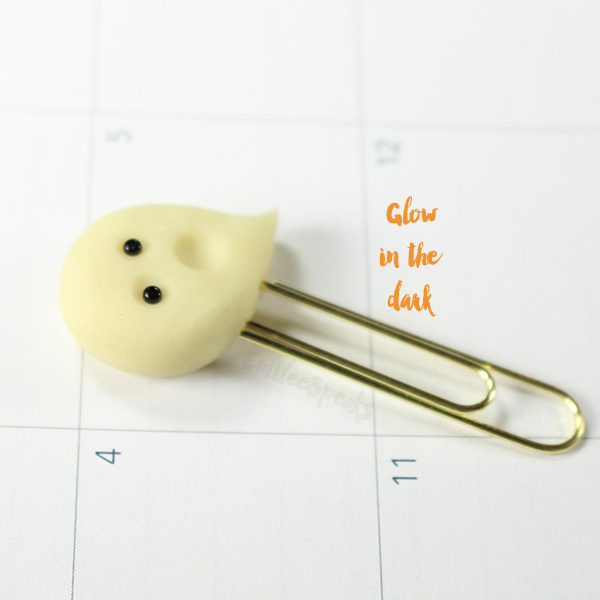 I've released my Halloween planner clip collection recently! 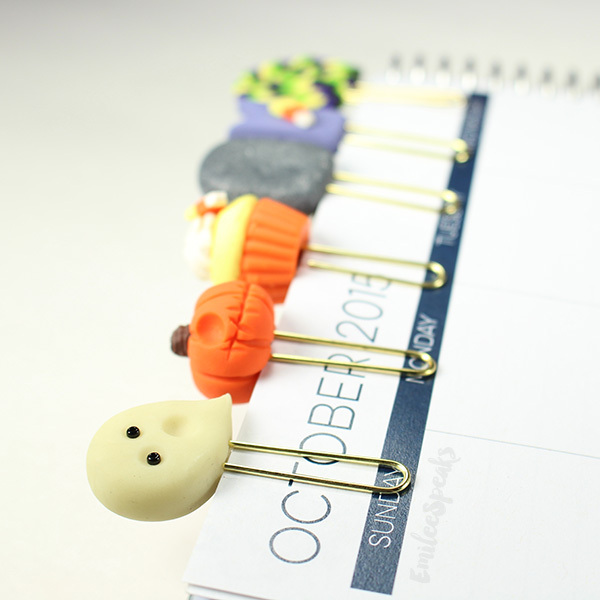 You get six adorable Halloween themed planner clips in this set. I think this might be some of my favorite clips I've ever done! They're just so cute! 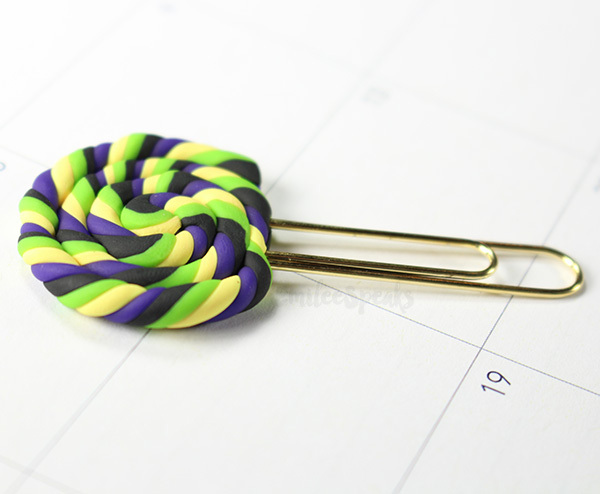 As always, these clips can be found in my etsy shop! In case you missed it: I recently made a video on how I'm currently storing my stamps. I'm still using this method and I'm really enjoying it. I prefer to flip through something than to dig for it in a box. If I could I'd put everything in a binder! September is "National Life Insurance" month. 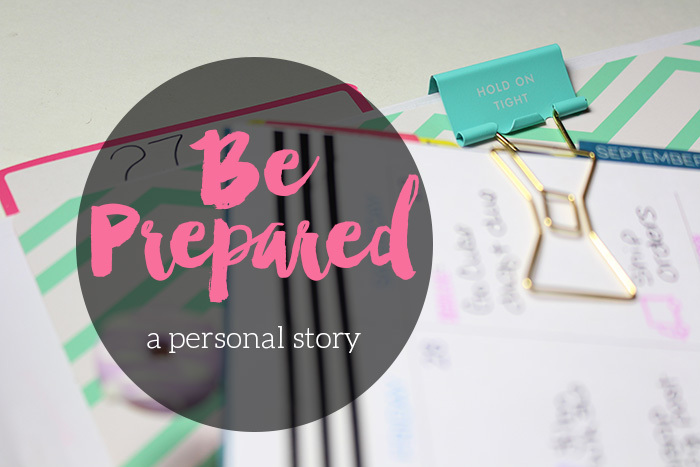 I thought I'd take the time to share a personal story with you today about Protective Life and the importance of life insurance. As most of you know, my mother passed away in 2000 at age 39. She had a cold, turned into a sinus infection, and got septic. She was in ICU for 6 days before she passed. When she was a teenager she had cancer, but had been cancer free all of my life. Due to her cancer, the doctors removed her spleen. Since she didn't have her spleen, her body had difficulties fighting off the infection. I lost her at age 17. I was old enough to participate in the funeral planning. I remember watching my dad want to plan the perfect funeral for his bride, but also saw the burden this was since she didn't have life insurance. At that time you either couldn't get life insurance if you had previously had cancer, or you could but it was too expensive for their budget. I watched the cost of her going away party increase as we added flowers, headstone, casket, etc etc. The cost of the funeral and my mother's 6 day ICU hospital stay took my father a very very long time to pay off. 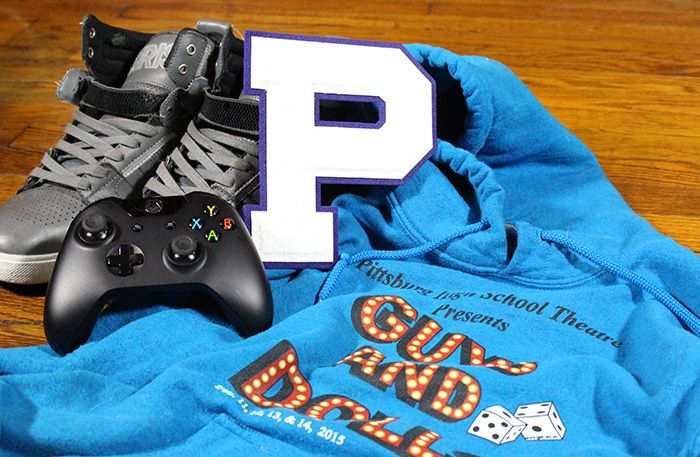 I am now a grown adult with a son in his senior year of high school. I don't want to leave him or my significant other with the same burden my father had. Once you experience something like that first hand, it's a very easy decision. Life Insurance is so very important. I was able to find all the answers and information I needed on life insurance from Protective Life. It's great to have the resources all in one place. Maybe you haven't gotten life insurance because you don't think you need it. Do you? Protective Life has a really good article that helps you make that decision. 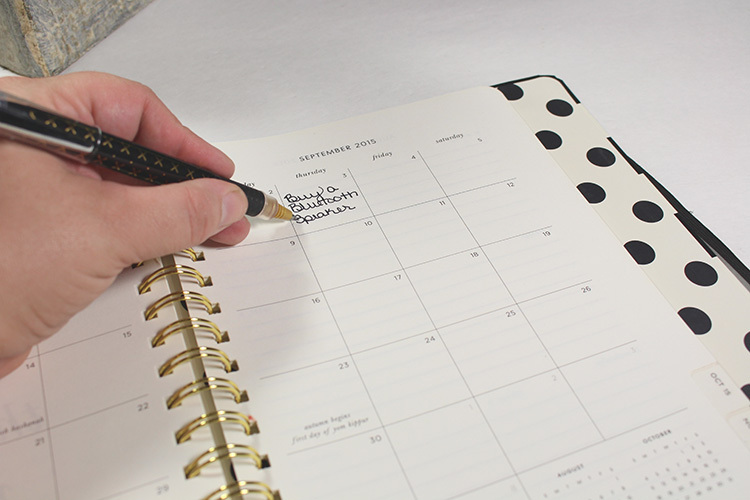 Planning for times like that can be uncomfortable. However, it's a necessity. Protective has a lot of information on their website, along with policies, and tools to help you make the best educated decision in your planning. Do you have life insurance? Was your decision prompted by a life event too? 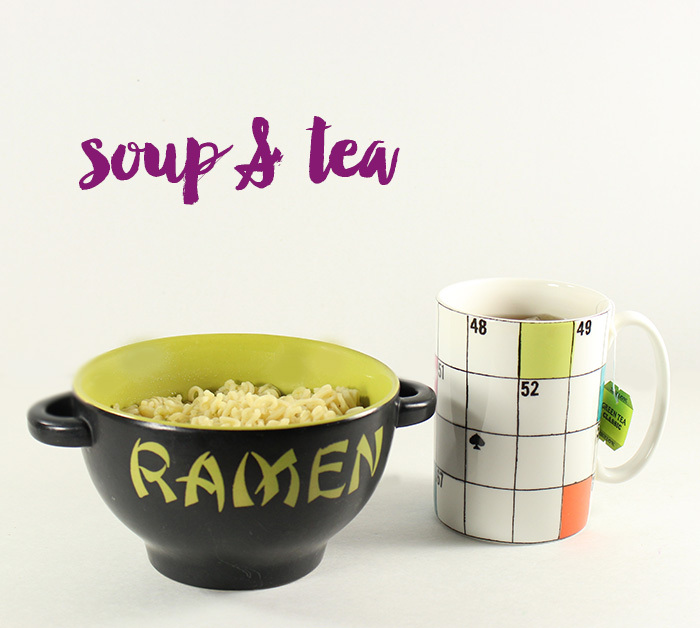 Soup & tea are definite must haves when you're not feeling well. Whether you are lucky enough to have someone make you some homemade chicken noodle, or you have to pull out whatever is in your pantry. You need soup! It's comforting and soothing. Same goes for tea. I love tea. However, on a day to day basis it loses to coffee... ahah! So I tend to only enjoy a cup of hot tea when I have a cold or my allergies are really acting up. Facial tissue is incredibly obvious but I'm not just talking about any facial tissue here. Get yourself an adorable, pretty, uplifting box of facial tissue! When you feel horrible, having pretty things around you lifts your spirit. Especially when you have to go to the office even when you're not feeling well. 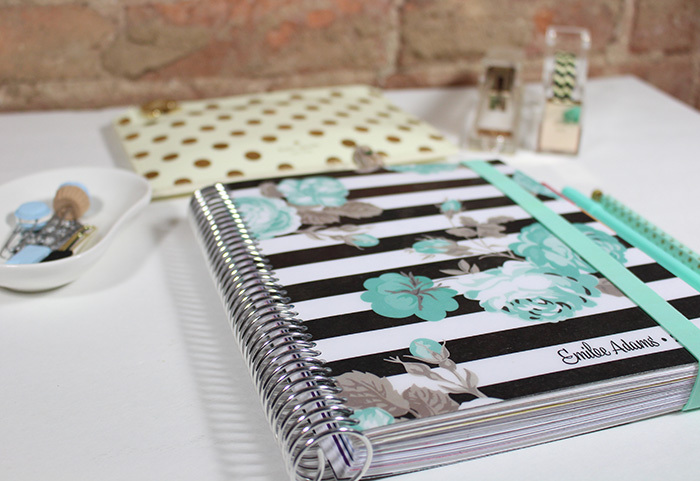 You'll be happy you picked up a pretty box of tissue! I also grab a stack of magazines. I don't often take the time to read magazines, so I take advantage of that on a sick day in bed. At the first sign of a cold or difficult allergies, I run to my local CVS. 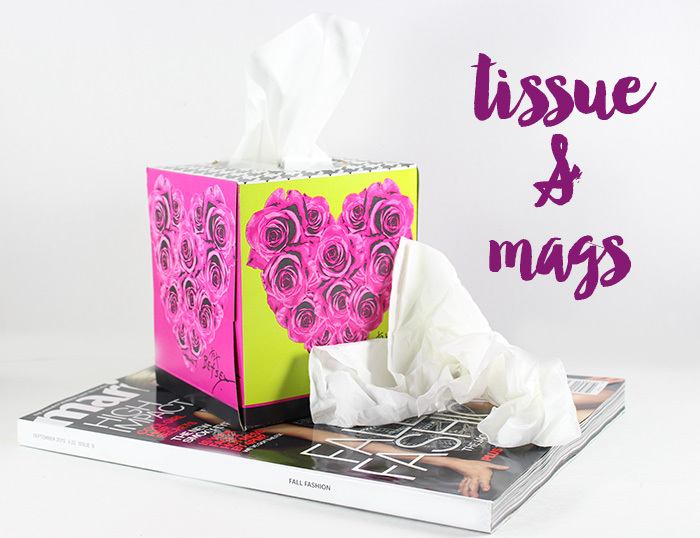 You can pick up your soup, tea, tissue, and magazines all in one trip! While I was recently picking up my must-have's for myself I noticed a new product in the feminine care isle. Poise Impressa bladder supports. This intrigued me and I'll be real with you and tell you why this is a necessity for me... When I'm sick with a cold or allergies and I'm coughing my head off, I have SUI [stress urinary incontinence]. Yup. It's true. It's so embarrassing and a HUGE hassle to have bladder leakage when you're already miserable. I will often call in sick with my allergies just because I don't want to deal with bladder leakage at work from coughing. 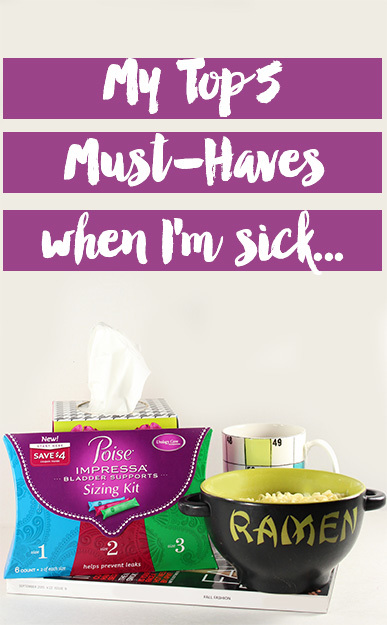 With the Poise Impressa bladder supports, I no longer have to miss work because of a cough! 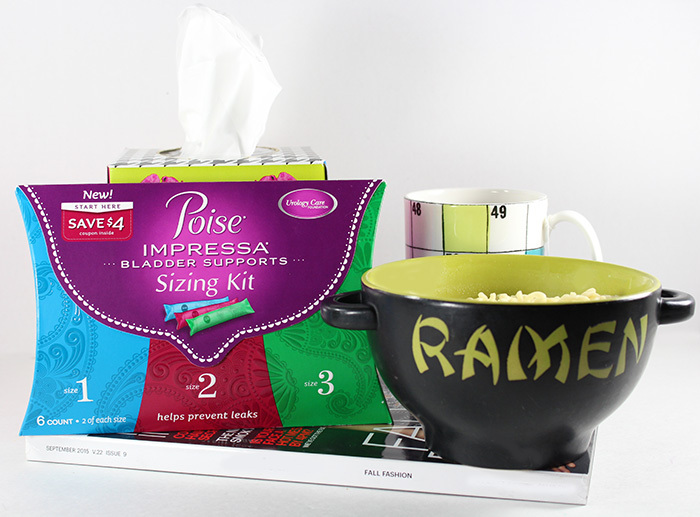 CVS had the Poise Impressa sizing kit and that's what I picked up. Poise Impressa comes in 3 different sizes since we're all built differently. The different sizes are not based on how much you weigh or how tall you are, they're for your internal size. 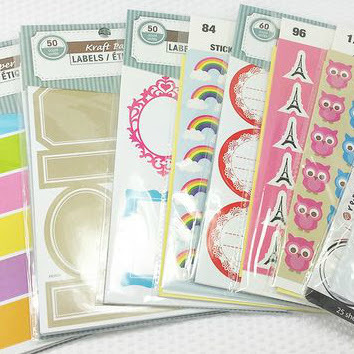 The sizing kit also comes with a $4 off coupon for when you're ready to buy a full package of the size you need. 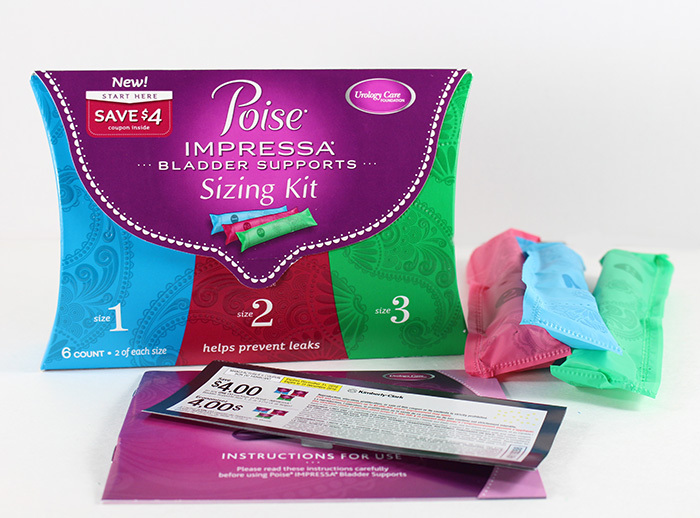 There's also a $1 off coupon for the Poise Impressa starter kit you can print from CVS that is available until all are claimed! 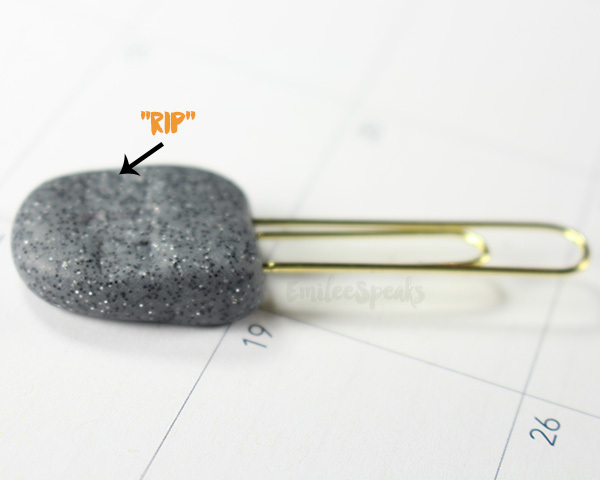 How it works: You start with size 1 and if you still experience leaks, move up to size 2, etc. Poise Impressa is inserted "like" a tampon, but it is NOT a tampon. Do not use Poise Impressa while on your period, and you can not use it while pregnant. Poise Impressa may look like a tampon, but it is not for absorbing. It's a preventative tool to keep leaks from happening at all. That's my must-haves for when I'm sick. I'm so happy to have found the Poise Impressa to add to my sick day arsenal! Now I can cough without fear of bladder leakage! 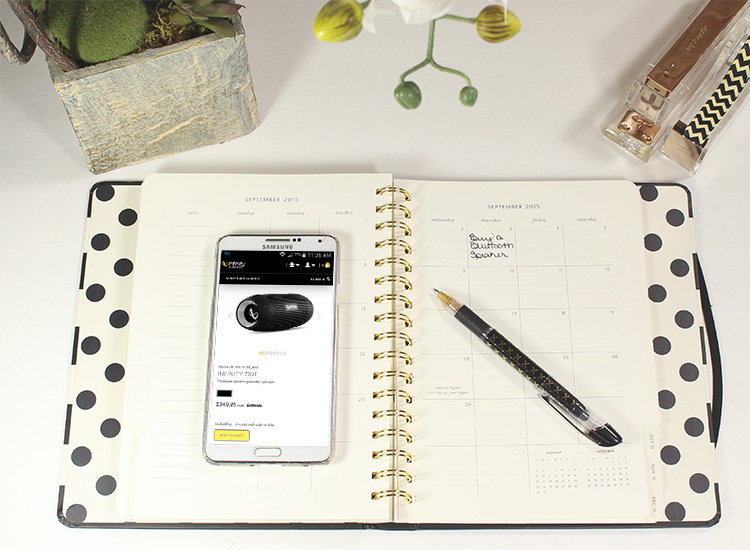 What are your must-haves? I'm really big into living seasonally. I love choosing my produce, decorating my home, and making my environment smell beautifully based on seasons. Fall is my absolute favorite season of the year. 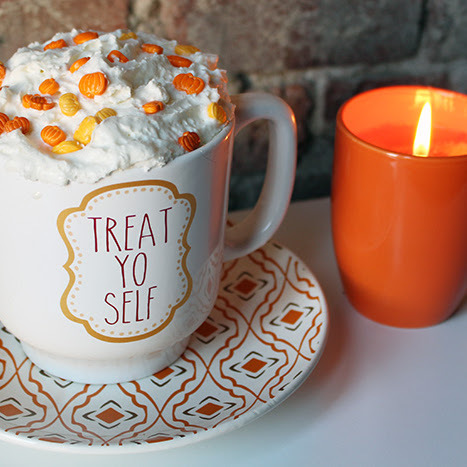 I love the weather, the smells, the food, the clothing... Give me a pumpkin spice coffee and a hoodie and I'm in heaven! I seriously blossom in the fall. I'm more productive and in an overall better mood. Fall makes me so incredibly happy. I can be a little bit of a couch potato. If I'm not slaving away at the computer, I'm usually on the couch watching Netflix [#notashamed]. Because of this, I need my living room to be incredibly relaxing and enjoyable to be in. I cannot relax unless everything is clean, organized, and inviting. I spend a lot of time adding little touches to my home each holiday & season, decorating accordingly. 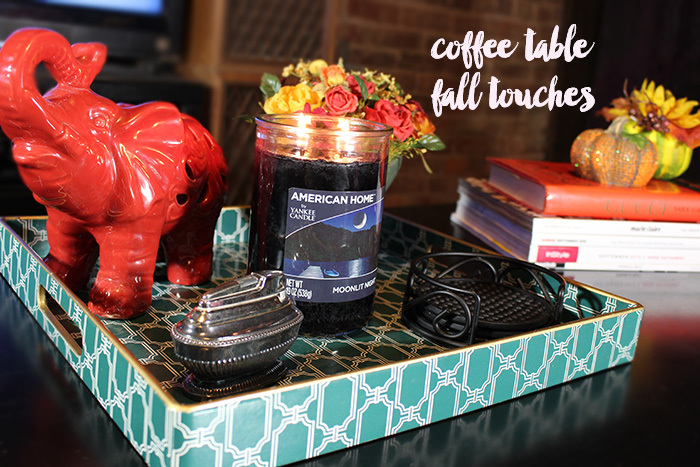 This is my basic "rule of thumb" with coffee table decor. I follow this schematic nearly every time I change out my decor. It flows well, and creates a coffee table that is pleasing on the eye. 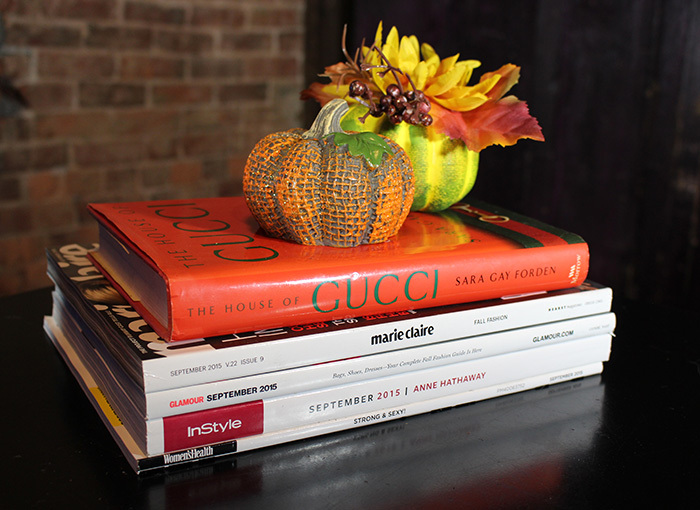 Magazines and books are also a great functional touch to coffee table decor. I classify this as functional because I only have magazines or books that I'm currently reading on the table. I'm super clumsy, so you won't find any expensive coffee table books on my table. I just know if I put one there, I'd spill coffee all over it! Candles are a staple in my home. If I'm home, there's a candle burning. Always. I choose my fragrances based on the season. 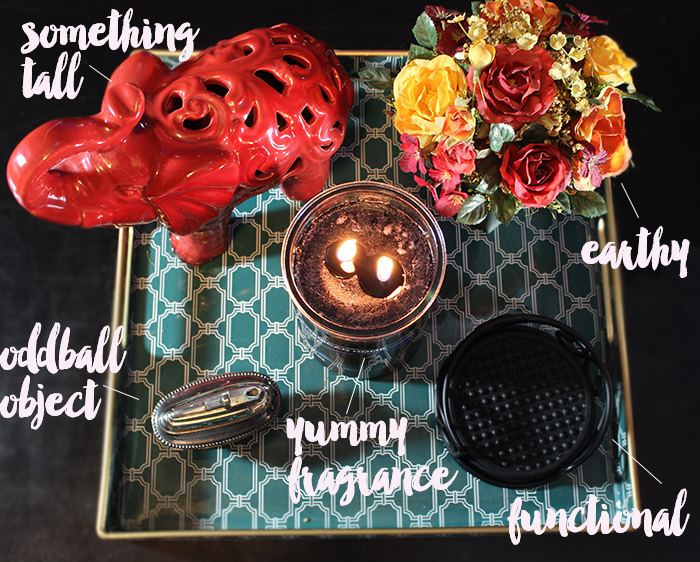 No surprise, but fall candles tend to have my favorite notes. I never have leftover candles from season to season. So each season I set out on a candle shopping binge! 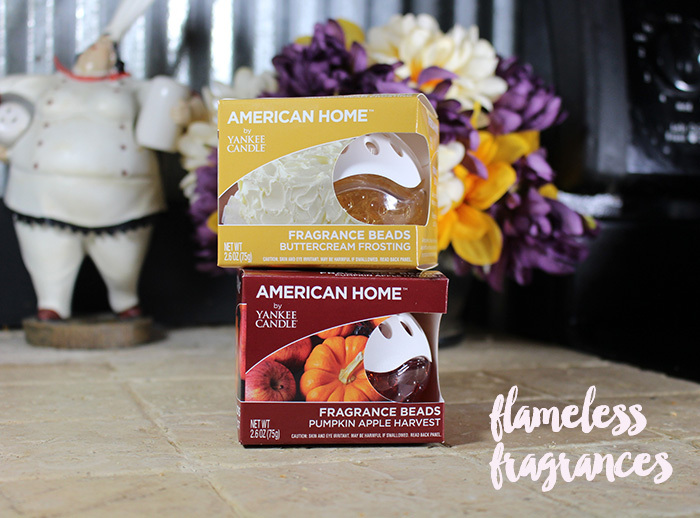 Wal-Mart had a large selection of American Home™ by Yankee Candle® brand fall fragrances! You can find them in the home & candle section of Wal-Mart. There were so many awesome fragrances to choose from! 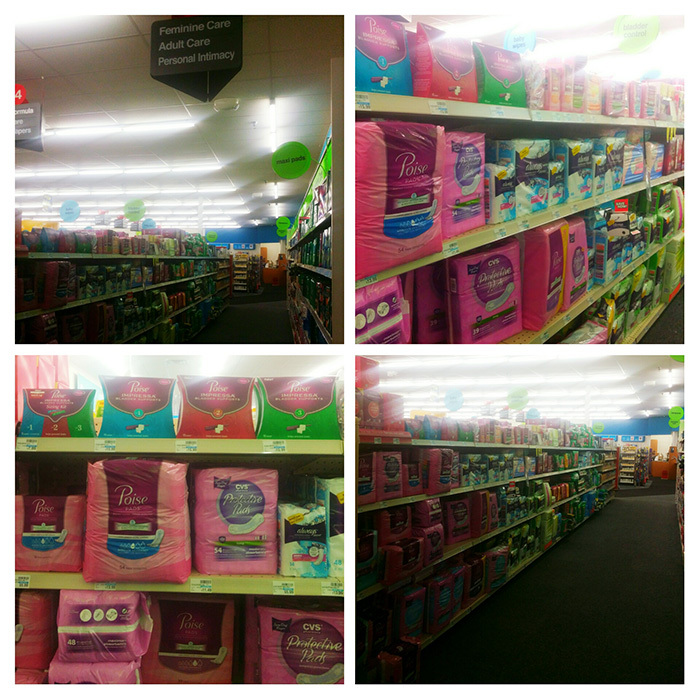 Plus it'll be so convenient for me to re-stock when needed since they're right in Wal-Mart. Moonlit Night- There’s a peaceful stillness to this fragrance that comes from a mix of cedar, oak moss, clove and more. It’s calm and quiet, crisp but relaxing. Shades of Fall- The crisp swish of fallen leaves around your boots, the woody scent of juniper, and the last amber rays of warm sunlight on a cooling afternoon. Pumpkin Apple Harvest- Cinnamon and nutmeg, fall’s rich baking spices, are layered with crisp red apples and pumpkin that’s been sliced and sprinkled with a pinch of brown sugar. Buttercream Frosting- The thick white frosting you swirl and smooth across a cake—rich with vanilla and fortified with creamy butter. 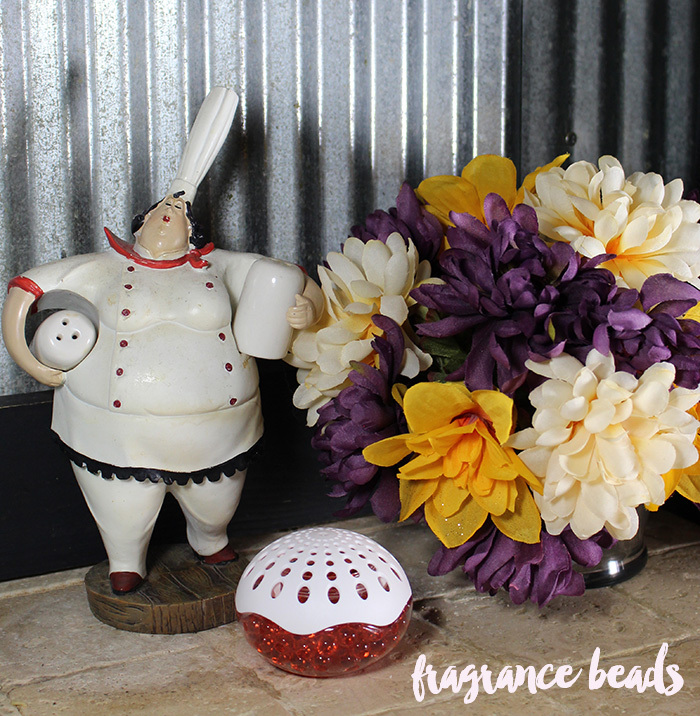 I picked up some of the Fragrance Beads to put in random places like the bathroom & kitchen. 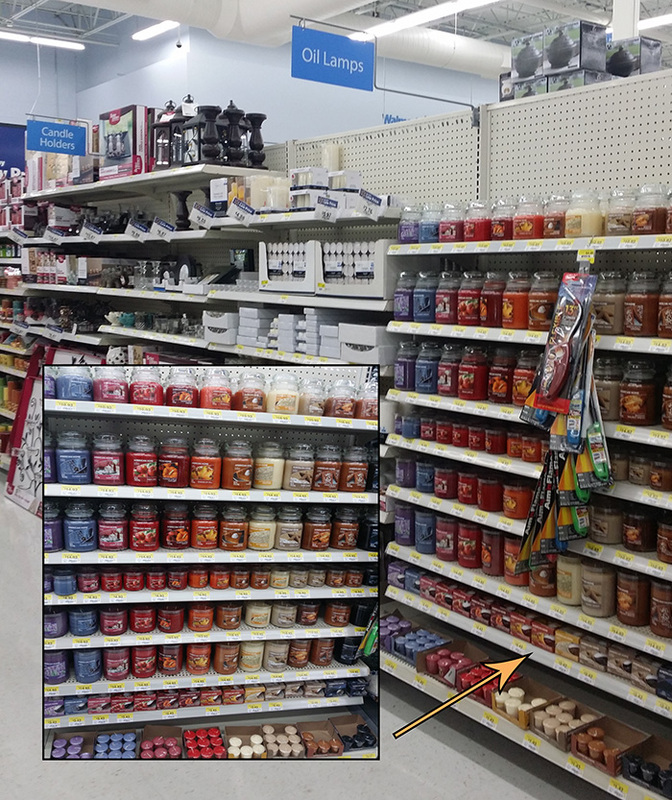 Places I want to smell nice, but don't want a candle left unattended. 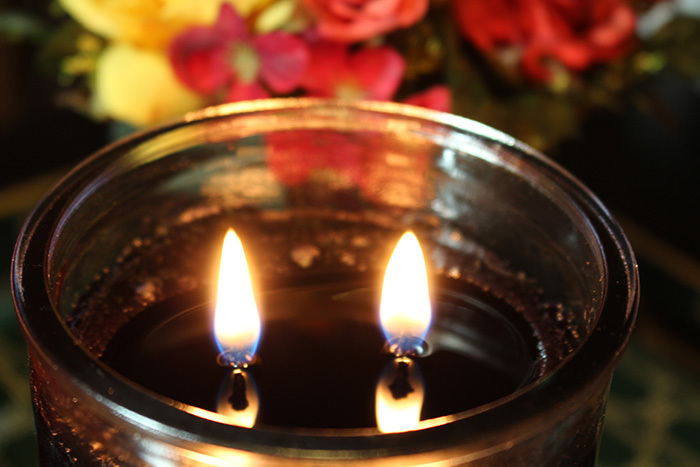 ALWAYS follow your candle's care instructions and practice SAFE BURNING! These fragrance beads are strong and pretty enough to fit into any decor. I wouldn't normally grab buttercream frosting for a fall fragrance, but it smelled AMAZING and it's still "technically summer". I thought it'd be wonderful transition fragrance for my bathroom. I think the container on the fragrance beads is really pretty and fresh looking. I was able to pair it on my kitchen counter with some beautiful fall flower I picked up at Wal-Mart for 97 cents a piece. 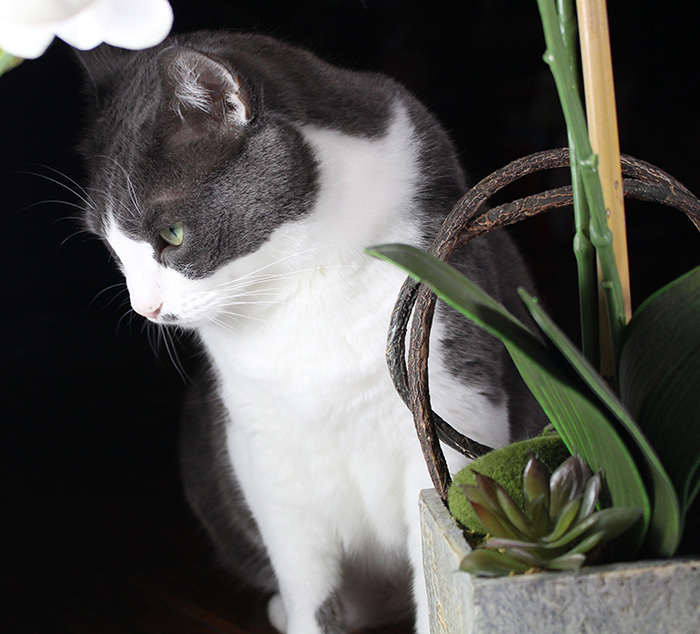 I clipped them and put them into a small vase. 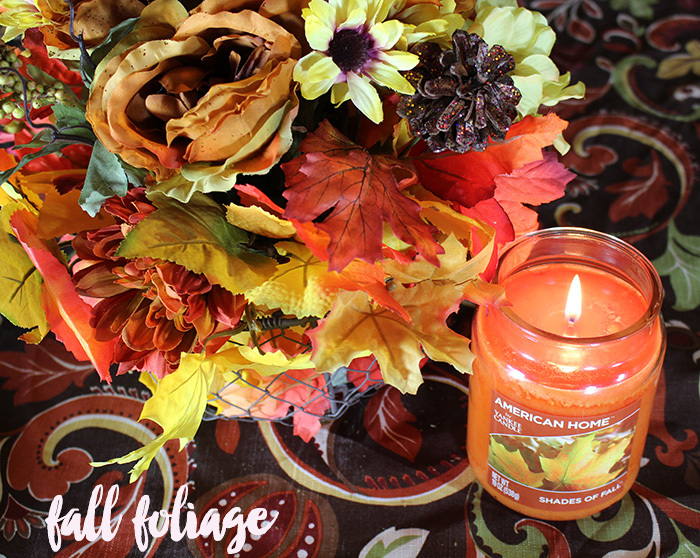 I also utilized the fall artificial flowers at Wal-Mart to create a centerpiece for my dining room table. 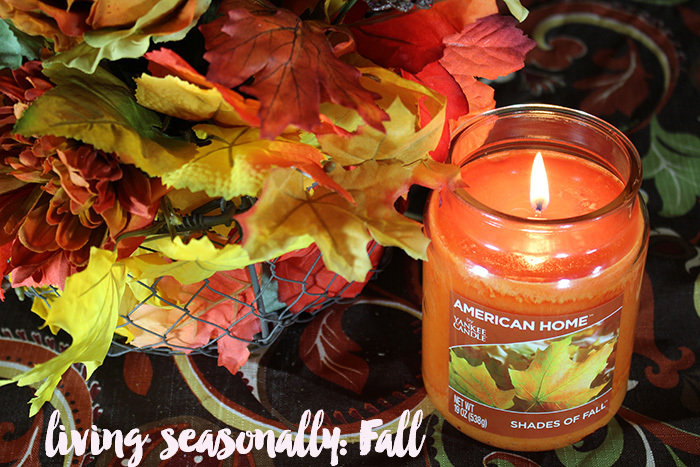 I paired it with the Shades of Fall candle by American Home™ by Yankee Candle® brand. I was incredibly impressed with the affordable selection of fall decor at Wal-Mart this year! 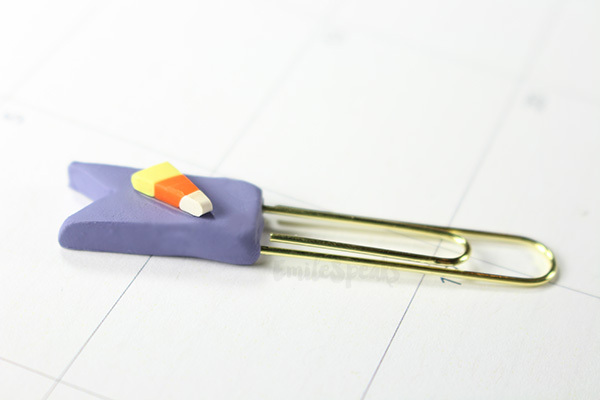 When decorating your home for fall, think about little touches. A little bit added in here and there goes a lot farther than a WHOLE LOT EVERYWHERE! I created this pine cone decoration several years ago. 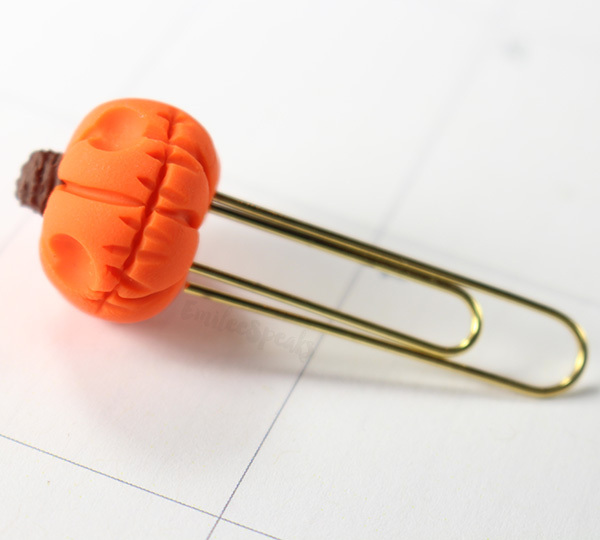 It's one of my favorite items to pull out of my fall decor bin. 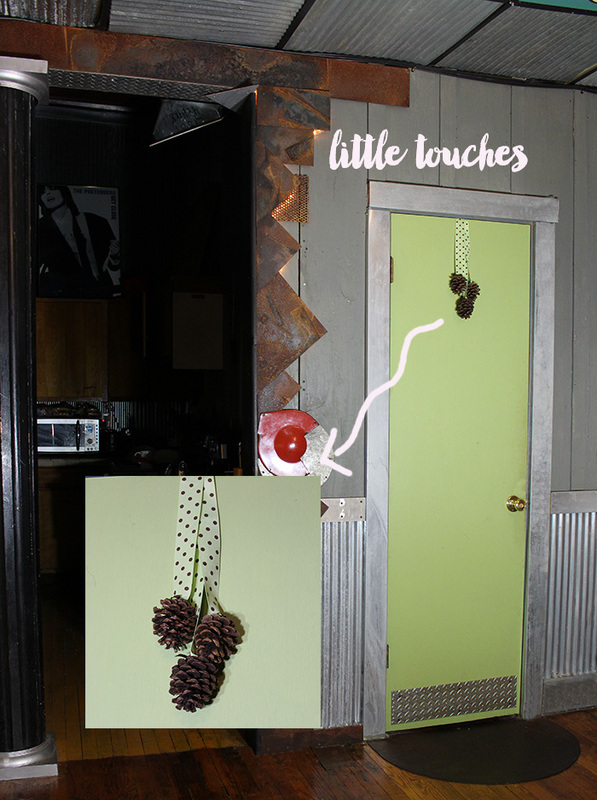 I simply hot glued ribbon to pine cones and hung them from a door in my home. What is your favorite thing about fall? Do you go all out and decorate for the best season of all? It's Monday morning, you're trying to wake up and get motivated for your day. Sometimes it's incredibly hard to do. I know you know what I'm talking about. 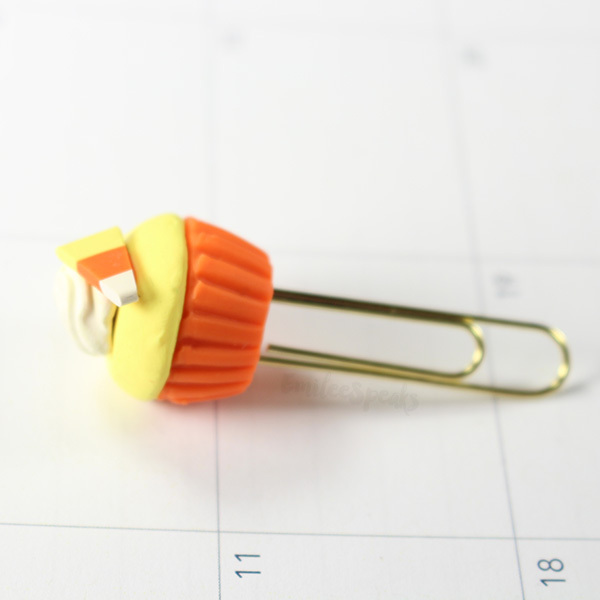 Today I'm going to share my fool-proof way to get you up and moving! Science has proven that music affects our moods. What better way to boost your mood by listening to an awesome playlist! I have made a playlist for you of some of my favorite "good mood" songs. These songs range from awesome, to silly, to motivational. I find that sometimes the silly "guilty pleasure" songs are the BEST mood boosters! 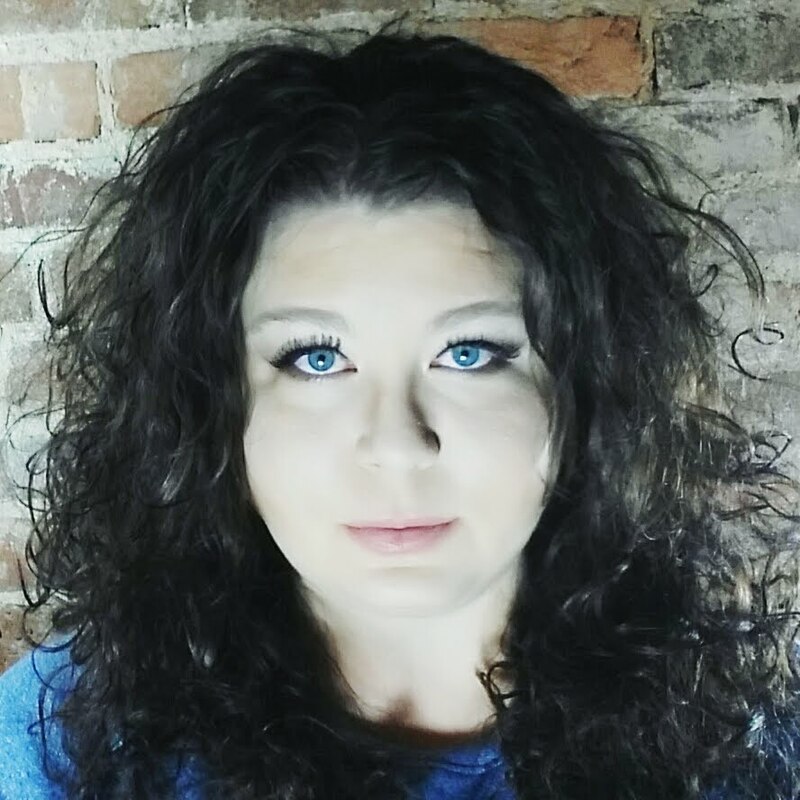 If you've been a reader of this blog for awhile, you know that I love a very wide range of music. This playlist is proof of that! Music is a staple in my day. I wake up at 6am and don't stop until after midnight [#entrepreneurproblems am I right?!]. If I didn't have music and copious amounts of coffee, I just wouldn't make it. Since music is so important to me and my productivity, I have to have the most efficient way to enjoy it. I don't always work in my home office. Sometimes I work in the living room. Sometimes I'll run to the park. I have to have a great set of headphones [no earbuds for this girl], and an awesome bluetooth portable speaker. 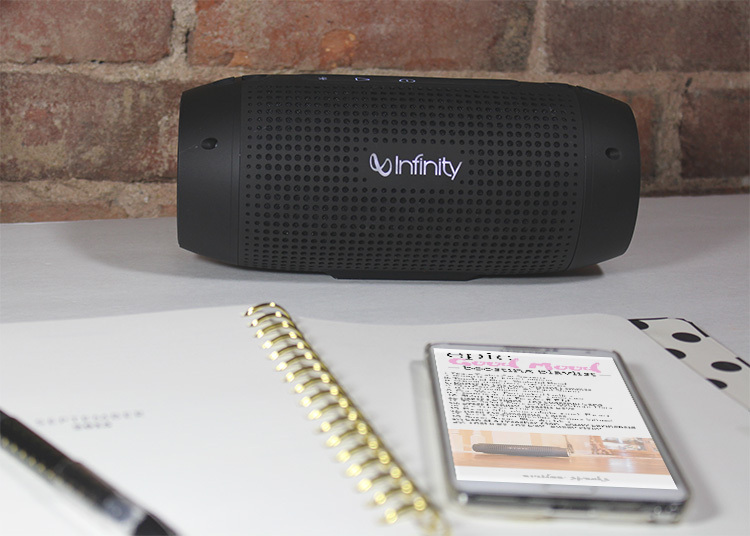 The Infinity One Portable Bluetooth speaker by Harman really caught my eye. Harman is synonymous with quality audio. I'm really loving this speaker! It's portable, but sturdy and made well. My laptop speakers are *crap* and I need loud music. That's part of getting motivated with music... turn up! I blast my playlist, dance around a little bit, make my coffee, and wake my body up. 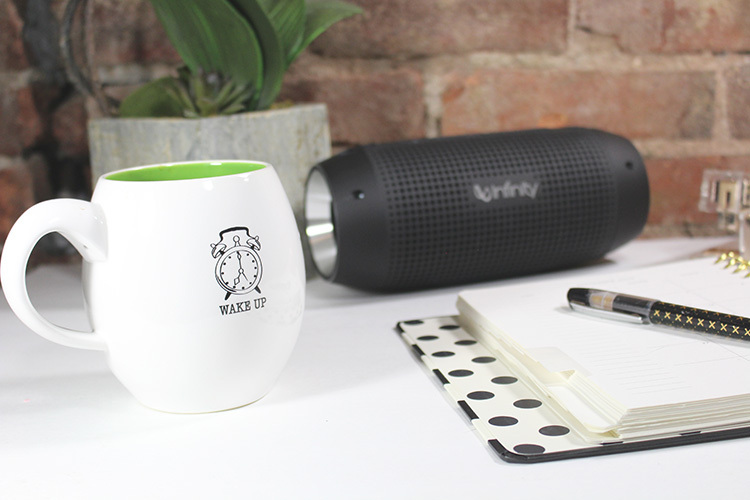 It's THE BEST way to start your day, and the Infinity One speaker gives me that! You're the driver - whenever your friends are headed somewhere you offer up your wheels. And to be the perfect auto host you not only curate the hottest playlists, you make sure each song is digitally mastered. It's also why you have the best sound system on four wheels. My playlist paired with the Infinity One by Harman bluetooth speaker [and coffee... always coffee] has been a life saver! I urge you to give it a try! I guarantee your day will start out so much better and you'll be much more productive! 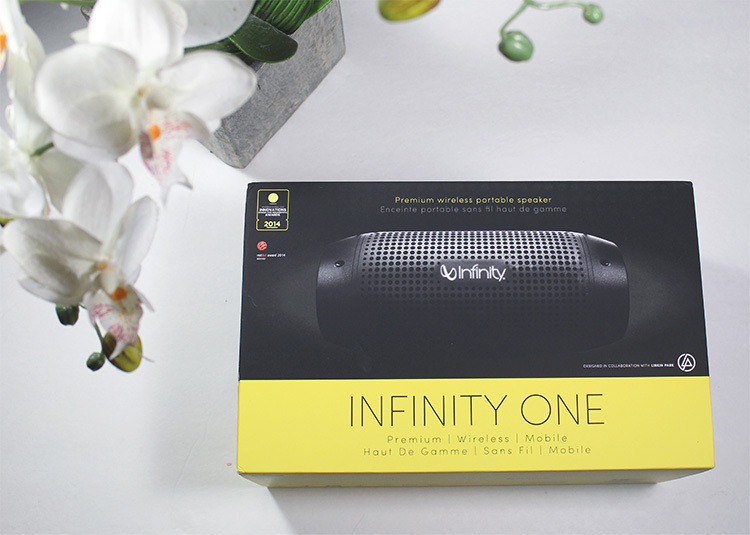 There's a giveaway right now that you can enter to WIN your very own Infinity One bluetooth speaker! Now you have my secret mood boosting playlist! What's your favorite playlist to get motivated and started on your day?